Posted on Wednesday, April 10th, 2019, by Brenda Pottinger under featured. 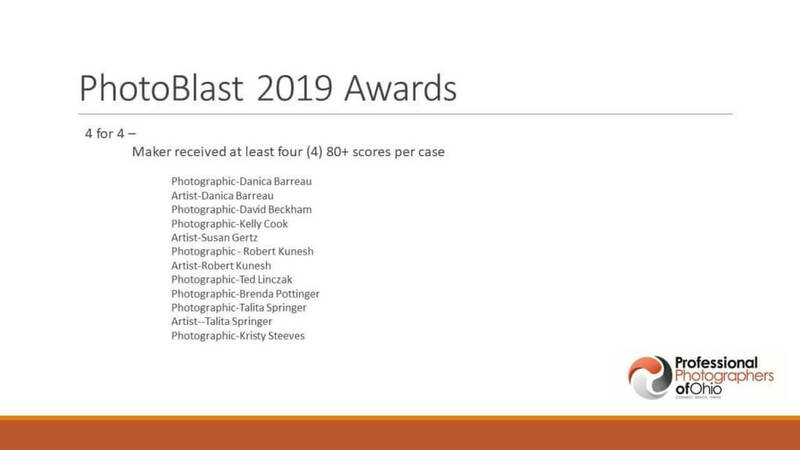 Entering print competitions these past couple of years has really been a lot of work but also very rewarding. 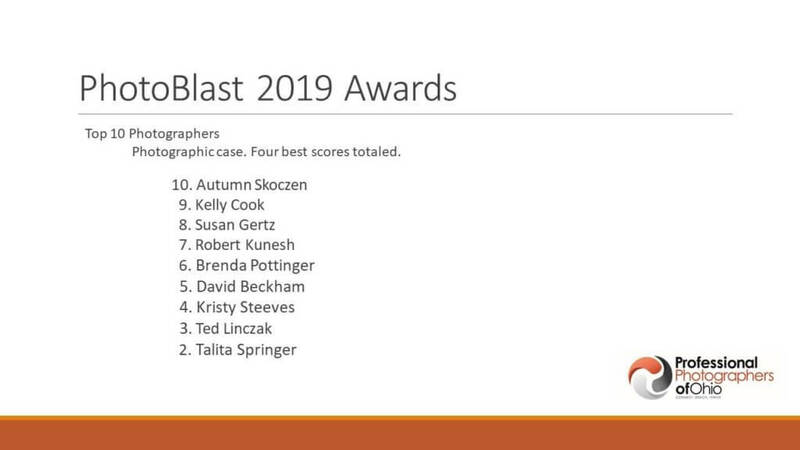 Getting to share with our couples that not only do they love their photos but also that other professional photographers in the area recognize the quality. And even though I try to not let anyone see us sweat – weddings mean creating great art in a hurry. We are given the locations, the time of day and often weird lighting and rules in a church (canned orange lights above the couple mixed with green fluorescents) – but we make the most out of whatever is thrown our way. 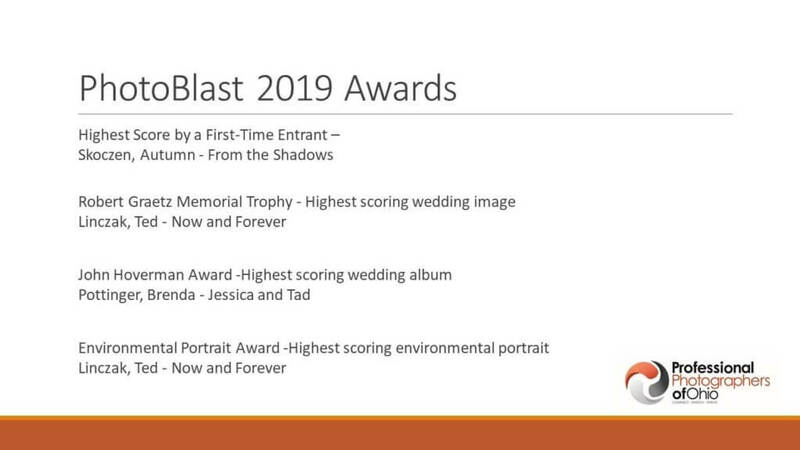 Our two wedding album scores helped earn us 6th place in the top ten photographers and the John Hoverman Award for the highest scoring event album. And we received the 4 for 4 award from meriting at least 4 images. Because we are planning on entering our images at the international level we can not share them here.